Southampton is the largest city and the biggest trading and container port on the south coast of England. It has passenger ferries to the Isle of Wight and four large cruise ship terminals. The city has very good transport links and an International Airport just a few miles away. It is a vibrant, modern city which offers one of the most modern shopping complexes in the south of England and an absolute wealth of sporting, leisure, entertainment and cultural opportunities. But that’s not where it ends – or should we say, began? The city also prides itself on its near on 2,000 years of history, first recorded by the Romans, when they established a permanent settlement in 43AD, which became and remained a large trading port, serving the large Roman towns of Salisbury and Winchester, until it was abandoned around the year 411AD when the Roman Legions were called back to defend Rome against marauding Visigoths and Vandals. The arrival of the Saxons to the area, around the year 530AD, saw the formation of a new settlement on the banks of the River Itchen, known as Hamwic, which evolved into Hampton. But there is evidence that by the 10th century a new settlement, which became Medieval Southampton, had already been established. Following the Norman Conquest in 1066, Southampton became a major point of transit between southern England and Normandy. By the end of the 14th century Southampton had become a wall encircled township and leading port, particularly involved in the trade of French Wine in exchange for English cloth and wool. And it is from this point that Southampton Tourist Guides Association’s tours begins. 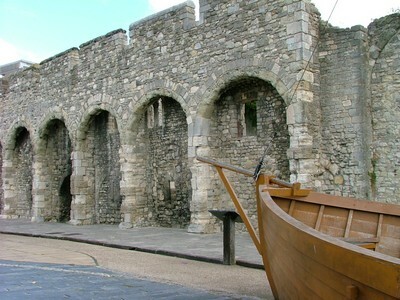 Southampton boasts the third longest original uninterrupted stretch of medieval defensive walling of any other town or city in Great Britain. 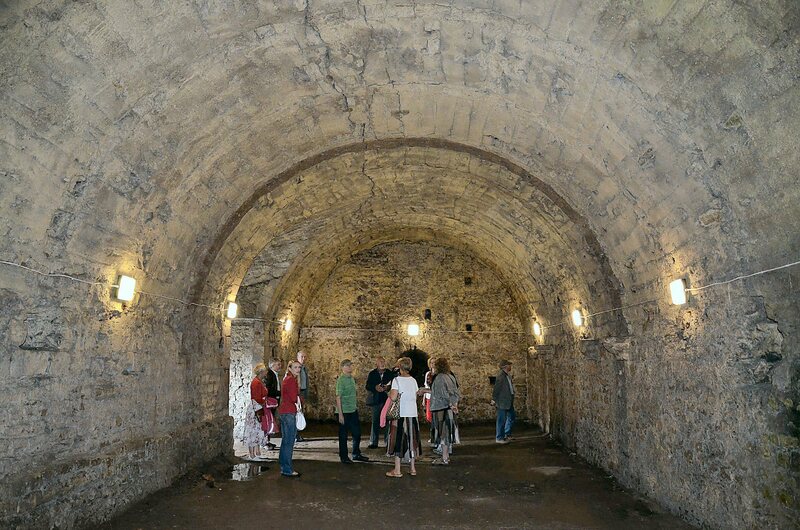 As well as several other exciting aspects of this walk, visitors will have the opportunity of traversing the top of long sections of the walls; visualise the site of Southampton’s early Norman castle; climb the highest remaining tower; enter two or three impressive and unique medieval wine vaults (centuries later to become air-raid shelters during the second World War); gaze upon the Tudor House that King Henry VIII was a frequent visitor too; and walk through one of the most historically significant gateways in the whole of England. Jane Austen moved to Southampton in 1806 and lived here until 1809. The garden of her house backed on to the impressive, well preserved medieval town walls and, although the house no longer stands, the location can be visited at the level where the garden would have been. 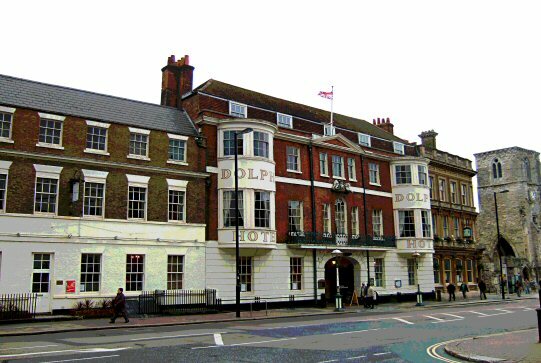 The Dolphin Hotel – a coaching inn in Jane’s time – where Jane attended Winter Balls, still stands in the High Street. Buildings that Jane would have known can be seen, including the Bargate – the magnificent medieval northern entrance to the Old Town that Jane would have passed through when leaving or entering the town. Other sites, such as that of All Saints Church, where Jane and her family worshipped are also visited and contextualised in light of Jane’s own writings, whilst living in the town. 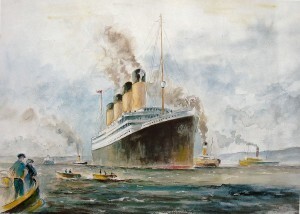 RMS Titanic’s ill-starred maiden voyage from Southampton. 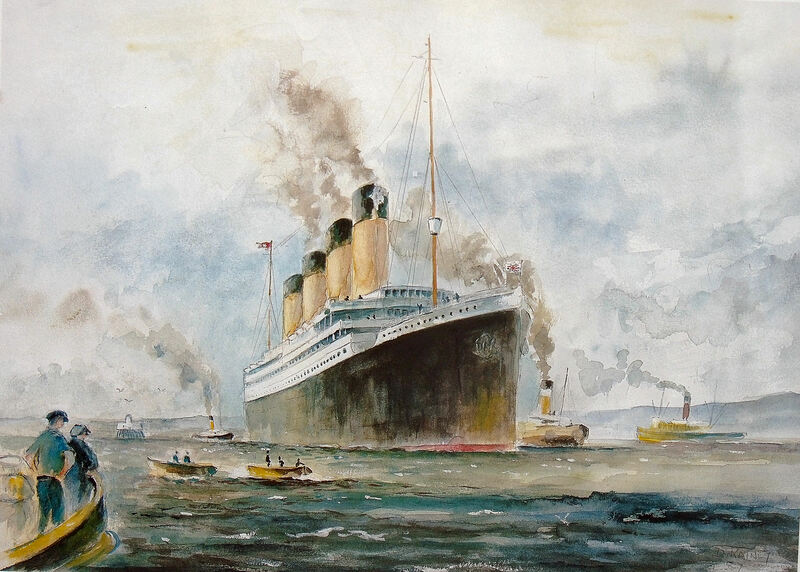 Flagship of the White Star Line and the largest moving man-made object in the world, she was fully stocked with luxury goods and carried some of the richest and poorest people in the land to their doom. 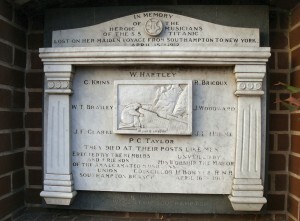 The walk passes through parts of old Southampton where the crew lived, worked and drank – in fact, over one third of those lost in the sinking, lived in Southampton. Visitors will hear stories of incredible bravery, superstitions, shameful cowardice, and heroic outcomes of both the living and the dead and be shocked by the dreadful mistreatment of many surviving crew members. They will also see some of the memorials, including the rare opportunity to walk through historic Dock Gate 4 (subject to security) to view the Memorial Stone in the old Docks, a short distance from the fateful berths 43 and 44. 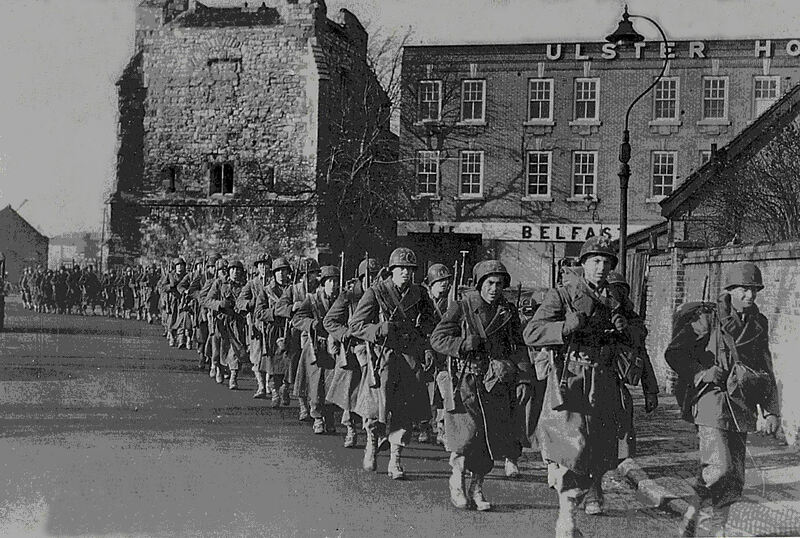 Southampton was the seventh heaviest bombed city in Britain. It was considered an obvious target; it was Britain’s number one military port, and the home of Spitfire production. 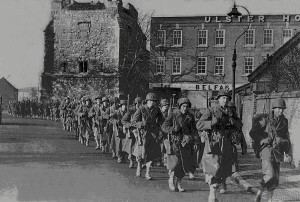 The town was raided 57 times, and three raids were classified as major attacks. The first bombs fell on 20 June 1940, after which a pattern emerged of strategic daylight raids on aircraft factories, shipyards, docks and railway lines, with occasional small-scale attacks on populated areas and sometimes machine gun strafing of streets. 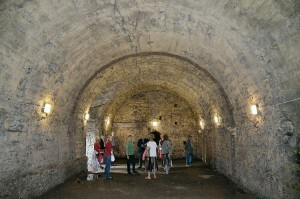 This walk takes in the part of the town that was the main target of Germany’s bombing raids and visits several medieval wine vaults that were utilised as life-saving air raid shelters during Hitler’s deadliest raids; reliving the terror that townsfolk experienced during hour upon hour of sustained bombing. 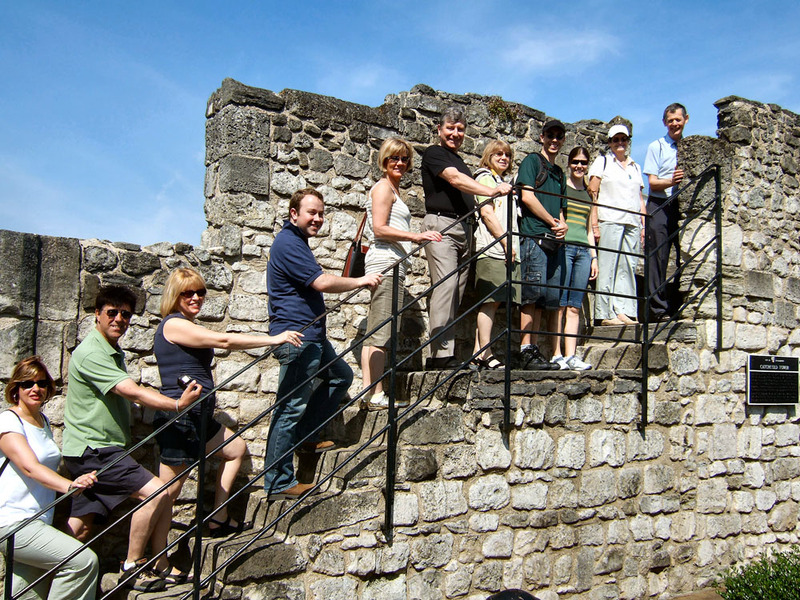 Southampton Tourist Guides Association (STGA) offer a wide range of services above and beyond normal walking tours. These are especially suitable to cheer those long, dark winter evenings, or for client groups whose members may not be as mobile as in the past, and would prefer non-walking tours of places of special interest. Our speakers’ subjects cover a very wide range of illustrated historic talks, which take the form of photographic slides or Power Point presentations each speaker providing his/her own projectors and screens. Please ring 023 8057 1858 and ask for details or visit our web site at www.stga.org.uk. STGA offer groups half/full day coach guide and/or courier tours around the city and further afield. 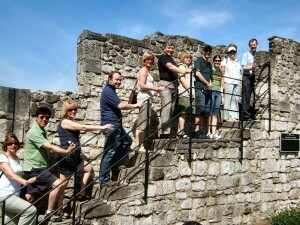 As well as these local tours, our registered specialist knowledge guides can conduct tours all over the southern region. These include such popular destinations as: The New Forest and Beaulieu – Winchester – Salisbury (City & Cathedral) – Stonehenge – The Isle of White -Broadlands House & Romsey – Windsor & its Castle – Historic Dorset – Portsmouth (Gunwharf Quay for shopping) or Historic Dockyard (HMS Victory, Mary Rose etc) Please ring 023 8022 1340 and ask for details or visit our web site at www.stga.org.uk. Southampton Tourist Guides Association takes a special interest in satisfying the needs of Cruise Liner passengers calling at our wonderfully equipped port. From meeting incoming individuals or groups at the quayside and seeing them safely and efficiently through embarkation procedures; to assisting passengers disembarking the ship and helping them through to their taxi, mini-bus or coach-borne onward journeys. We’ll even provide a guide for your onward journey, if required. Please ring 023 8057 1858 and ask for details or visit our web site at www.stga.org.uk.